William was born and raised in the mid-western city of Wyoming, Michigan. After graduating from high school, he married and, together with his wife, raised four sons; Michael, Daniel, Gabriel and Jordan. His sons have, in turn, blessed William with 14 beautiful grandchildren. He has also been featured on various international television and radio networks as well as numerous print media outlets such as: Univision and Telemundo Television, NPR (National Public Radio), Miami Herald and Chicago Sun-Times, USA Today, Reuters, Carnival Cruise Lines, Royal Caribbean Cruises and TruNews to name a few. 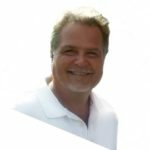 Professionally, William has held various mid-level management positions in both the real estate and resort property management fields. An avid outdoors man, William has successfully hiked the famed Appalachian National Scenic Trail along with bicycling the United States coast to coast advocating for abused and abandoned children and homeless veterans.